As your cat enters their golden years, it is important to keep their health in tip-top shape! 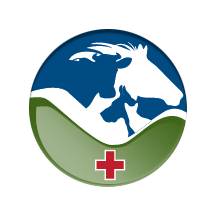 Creston Veterinary Hospital is here to help. We have listed some helpful tips to keep your cat feeling great! Contact us to make an appointment. Give your cat plenty of love and attention – the keys to a healthier and more fulfilling life for your senior cat! Schedule veterinarian checkups at least twice a year. The older your senior cat, the more important it is to maintain good health. Be more informed and aware of your senior cat’s condition. Observe your cat on a regular basis to stay on top of any potential symptoms of diseases. To ease digestion, consider feeding your cat several meals a day instead, of one large serving. Don’t overlook your cat’s dental health. Have your cat’s teeth cleaned by your veterinarian when advised, and brush them at home on a regular basis. Have your veterinarian perform regular vaccinations. Keep your senior cat’s bed and surrounding area clean, and always remain proactive in controlling fleas. Avoid overfeeding – obesity can lead to numerous health problems and may shorten your cat’s life. Keep your cat on a regular exercise routine to help preserve muscle tone and to keep bones and joints strong. Because senior cats are prone to inactivity, inspect your cat’s nails on a regular basis and trim them when necessary. If you have any questions, Creston Veterinary Hospital is here to help so don’t hesitate to contact us! We love taking care of your senior kitties! Thank you! You guys help me take great care of my two senior kitties!